Coffee has become a staple of modern life and, coupled with this, we have seen a steady increase in coffee shops in Canada over the past decade. With 71% of Canadians drinking coffee every day and more than 160 000 people employed in coffee shops around Canada, coffee is a booming industry with huge potential. The potential of the industry might mean that this is a good time for you to sell, so, if the time has come for you to move on to a new challenge, here are some things to keep in mind. And, before you sell, remember that it's always better to have things in order sooner rather than later. It can be difficult to know when to put your business on the market. It might be time to move on or you’re looking for a new challenge in a less established market but, either way, finding a suitable price for your business will play an important role in knowing when to sell. Urban spaces are becoming denser and this creates space for more and more coffee’s to be sold. The booming nature of the coffee industry could mean that this is the ideal time for you to look for potential buyers. The process of selling your business can prove to be a lengthily one and, despite your eagerness to find the right buyer, there are a few things to consider before this step. Get your business into good shape before you decide to sell. Repainting faded surfaces or even just giving neglected spaces a good clean can instantly increase the appeal of your coffee shop to buyers. Your potential buyer is then going to want to get to know your coffee shop to see if it’s something that they want to buy. This is the investigatory phase and it’s during this phase that you’ll want to make sure your coffee shop comes across in the best way possible (with a non-disclosure agreement firmly in place!). Emphasise the best things about your coffee shop. For example, does the location mean that you have a steady footfall? Is there potential to capitalise on this? Make sure that the potential buyer gets to know everything that makes your coffee shop stand out from other ones in a similar price bracket. Business valuation: how much is your coffee shop worth? Trying to decide how much your coffee shop is worth can seem like an impossible task but there are ways that you can go about it. There are usually two sides to your business that you need to consider when you’re determining what price you want to ask for it. The value of your coffee shop will be based on the tangible assets (all the physical things that make up your coffee shop like the tables and chairs and coffee machines) as well as the intangible assets (also known as the perceived value of your business). Your coffee shop will be worth more if it’s not completely dependent on you, the owner. Having a loyal base of customers is ideal. What’s not ideal, though, is if these customers disappear if you’re not in the picture. Make sure that you have well-trained staff and a service that can keep your customer base even if you’re not in the picture anymore. Have a clear idea of the specific value of all your assets when you’re deciding on the value of your coffee shop. You should also get to know the market and look at how much similar coffee shops have sold for recently. A specialist accountant will be able to help you with coming to the right figure when you’re valuing your coffee shop. The due diligence stage of negotiations can be difficult for small business owners, so it is really important that you keep a few things in mind as you enter this stage so that you don’t lose buyer confidence. Full disclosure is essential. During due diligence, your coffee shop is going to come under close scrutiny and the sale can fall apart if the buyer finds out that you’ve been trying to hide something. Make sure that you have the details of the business ready for the potential buyer. Things like the accounts and contracts and any other documentation will probably be requested and you’ll want to have these ready to hand over so that things don’t get held up from your side. Hiring a legal professional can often help this part of the sale go quicker and smoother as they can anticipate what will be needed if they have the right amount of experience. While your approach to negotiating may be your own, there are a few general things that you can keep in mind to make sure that the sale of your coffee shop goes well. Get to know the potential buyer rather than always going through legal professionals. Legal professionals can offer a lot of assistance but having a personal connection with the buyer can help to get both of you on the same page. Honesty is important but remember to highlight the best things about your coffee shop to potential buyers. If you have thoroughly researched what it is that makes your coffee shop stand out, you can focus on these things during negotiations. Why use a broker when selling your coffee shop? Selling your coffee shop can be an extensive and complicated process and some people decide to use a broker in order to help them through it. When deciding on a broker, make sure that you have done your research and found someone who is reputable, with good connections, and experienced in your particular field. It often helps to have a broker who is familiar with the ins and outs of your particular market. 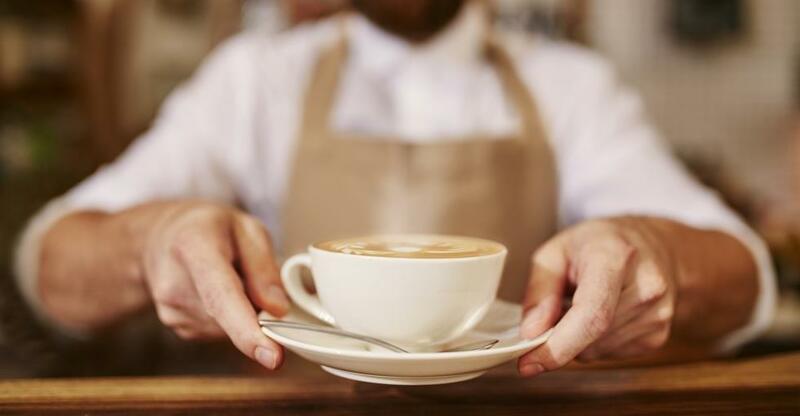 Selling your coffee shop that you have put time and effort into will need the skills of a broker that is going to take the time to understand your business and listen to what it is that you need. Being well researched and knowing ballpark figures before meeting with a broker can help you to know if you’ve found an honest broker or not. It can be invaluable to have the right advice and support from a broker to help you through a sale, so take your time and find the right one. If you’re ready to sell, why not advertise your business to millions of potential buyers. And find out everything you need to know about selling a business right here.